Bringing People and Pets Together! How Long Is a Lifetime? Are You Really Willing or Ready to Commit? * To get an idea how long a pet’s lifetime may be, please consider – how old will you be 15 years from now? * How many times do you think you might move in the next 15 years? * Are you willing to move the pet too and restrict your choice of housing to places where pets are allowed? * What major changes might happen in your life in the next 15 years? Marriage? Children? Are you willing to continue spending time, energy and money to care for your pet when taking on new responsibilities like these? * What will you do if your spouse or children can’t get along with the pet? * If you are getting a pet for your children, how old will they be in 15 years? Will you still want this pet after the kids have grown up and moved out? 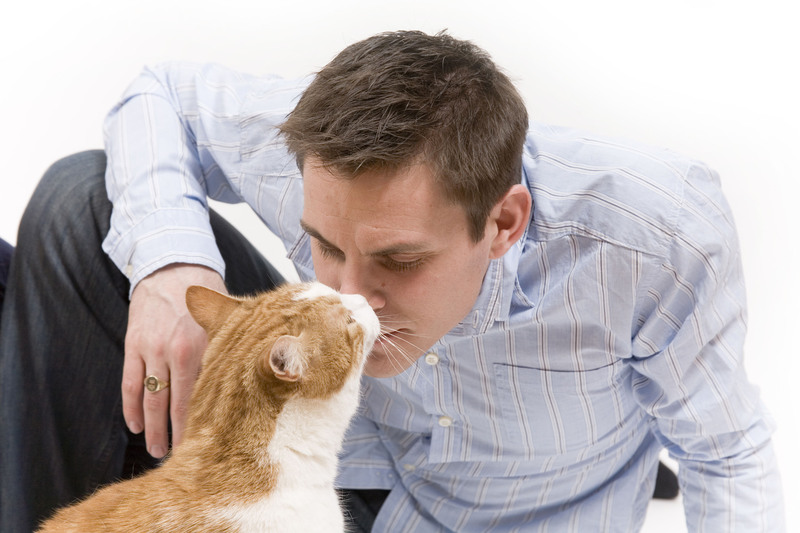 * Have you previously owned a pet that didn’t live with you for 10 years or more? If so, what happened to it? What will you do differently with this pet to prevent it from going the way your previous pet did? These questions are presented not to discourage you but to give you a few things to consider. Although we will ALWAYS take back our puppies/dogs or kittens/cats due to ANY reason they don’t work out within three months of adoption – and unforeseen events can occur – our goals are lifetime and we do our very best to ensure that. Where do our Dogs/Cats & Kittens/Puppies Come From? Texas Animal Guardians is an all-volunteer organization geared to reducing the suffering and certain death of shelter animals. We remove “at risk” dogs, puppies, cats and kittens from over-crowded shelters, take responsibility for their medical care, place them into nurturing foster homes and adopt them out to responsible, loving pet parents. We do not take animals from the general public, nor do we take strays off the streets or re-home pets, or in any other way deal with animals from the public. We work exclusively with shelters, local pounds and other rescue groups. The pet you are currently seeking to adopt has been loved, cared for and SAVED! How does Texas Animal Guardians know the Breed of the dog/puppy? Or cat/kitten? Does TAG do a DNA test? Texas Animal Guardians does not do DNA testing to determine the breed mix in a dog or litter of puppies. That would be entirely too costly for a small non-profit. We advise anyone with breed restriction concerns to avoid adopting from a rescue, a shelter or even a purebred rescue (because even the purebred rescues have mixed breeds). Keep in mind that these companion animals are brought in as strays to a pound/shelter. Even the ones who are owner surrendered do not come with a full genetic report. However, we do our best to determine the correct breed mix by looks and behavior. If we have the mother dog we will use her as a “go by” to guess the puppy breed. In addition, we consider the shelter’s suggested breed combination, since they have a great deal of experience working with various breeds. Please know that all our dogs/cats are mixes, unless otherwise stated. Generally speaking, the breeds used in a listing or description are a good faith guess, a basic guideline for the adopter. Thank you so much for your interest in one of our adoptable pets. Please know that our organization is an animal welfare organization, therefore, we want to ensure the very best for each and every pet that we adopt out. You are supporting us by adopting one of our “babies.” We are always grateful to folks who open their hearts and homes to a rescued animal. We are a non-profit (501 c3) organization funded by private donations. We do not receive money from the state, city, or county for our programs. This is why we have an adoption fee. Our cost to process an animal into our adoption program is approximately $350 – $400 for a puppy; $200 – $250 for a dog; $300 – $450 for a kitten; and $125 – $200 for a cat. 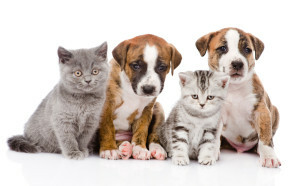 These expenses are related to the cost of vaccinations, veterinarian fees, prescription medications, puppy/kitten formulas and/or foods, laboratory fees, flea/tick preventatives, heart worm preventatives, deworming medications, micropchips, spay/neuter surgery and in the case of illness treatment for that illness. It is also related to specialty equipment, puppy pads, kitty litter, and all the other items necessary to keep the pets in our care happy and healthy. Your adoption fee helps us continue to help other animals in need. We also have adoption policies. Again, these policies are not in place to discourage you from adopting a pet in need of a home. However, we spend considerable time and money to save animals from shelters and euthanasia and from dying from disease and/or starvation. We simply want to place these pets into permanent homes that have the resources and ability to care for the pet. Keep in mind that the majority of shelter owner surrenders is related to moves, changes in marital status, changes in family (such as a new baby or the death of a spouse), and changes in financial status. The adoption policies of Texas Animal Guardians are related to age (must be 21 or older), employment (must be currently employed or retired), housing (must either own or rent in a place that allows pets – proof of pet deposit is required) and finally we ask for a vet reference if you are a current pet parent. A current pet parent must have a veterinarian reference. In some cases we will ask for personal references as well. 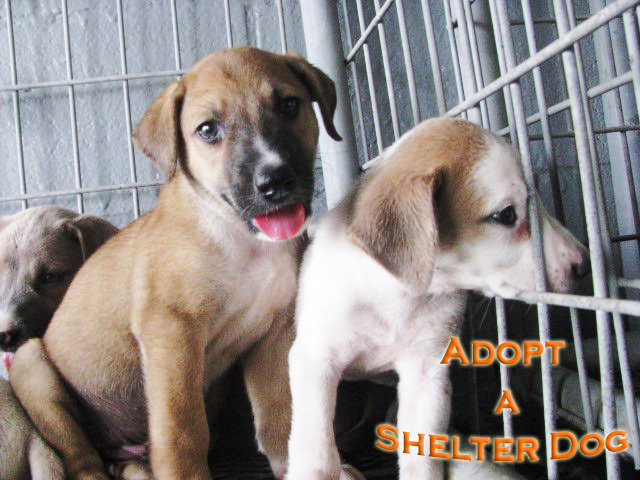 Our adoption fees vary according to the pet, its age, its general health and its breed. The fee ranges from $200 to $300 for a dog/puppy. The fee ranges from $100 to $200 for a cat/kitten. We try to make our adoption process as simple and friendly as possible. However, our primary directive is to ensure that each pet will be placed into a happy forever home. To determine that we have a good match we kindly ask that you fill out an online questionnaire about you and your current household: your age, the age of other members of your household, your housing situation, your employment situation and what you anticipate the annual cost of having this pet will be. This also covers your expectations of the pet: its energy level, behavior, and characteristics. 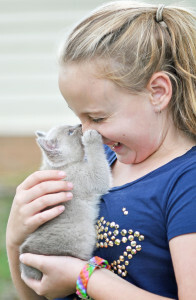 We reserve the right to conduct a home visit before adopting out an animal. This isn’t done to discourage you from adopting or to make the adoption process lengthy. It’s done to ensure the safety of the pet in its new environment. (We will often encorporate the home visit with the delivery of the pet and the completion of the adoption paperwork.) The home visit is a great opportunity to review where the new pet will sleep, eat, exercise, and what areas will be off limits. At this time we can make suggestions to you and your family about incorporating the newcomer into the family fold. And, we can cover how to introduce the new pet to current pet members of your household. At adoption, you will be asked to fill out a permanent adoption form. This form is a legal and binding contract between you and our organization. It confirms that you understand there will be a follow-up visit or check-in with the pet you have adopted from Texas Animal Guardians. We will, of course, contact you in advance to make these arrangements. A follow-up visit or telephone call is usually conducted two to three weeks after adoption. At the follow-up meeting we will ask for documentation that the new pet has received all necessary vet care (in the event of puppies and kittens this will mean their continued vaccinations). Your adopted dog/cat has already been fully vetted prior to adoption but we will request documentation that you have visited your veterinarian for continued heartworm preventative and/or annual health checkups. Thank you for your interest in our organization and one of our available pets!